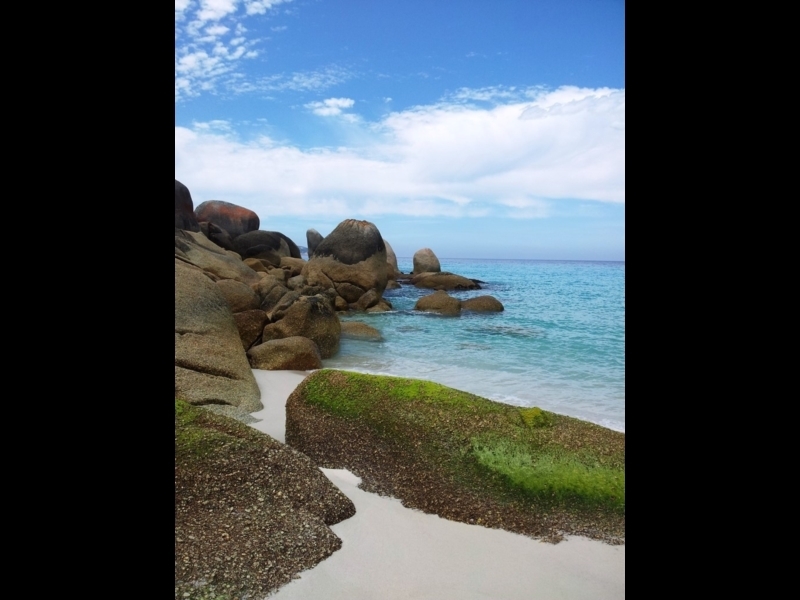 Refuge Cove is stunning, secluded beach situated on the east side of the Prom accessible via a wonderful walk. 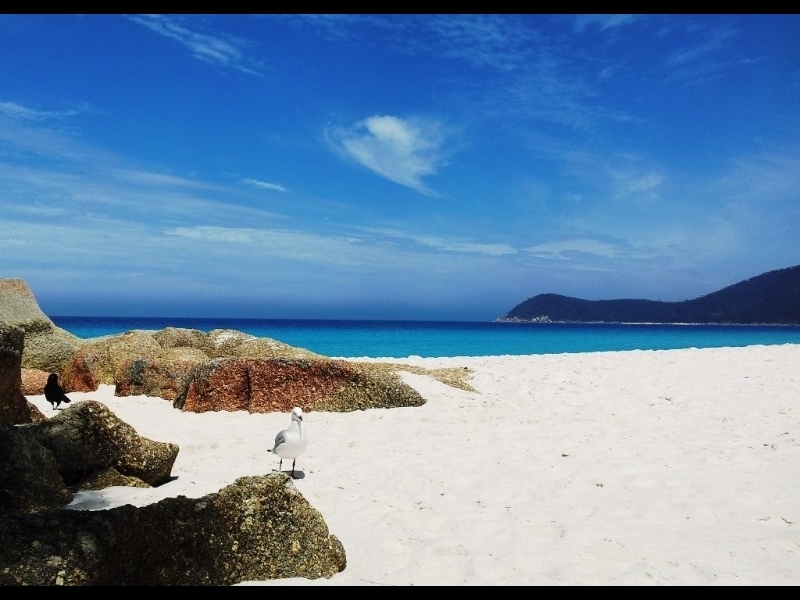 Parks Victoria states: "Refuge Cove is stunning, secluded beach situated on the east side of the Prom accessible via walking track from Sealers Cove to the north or Little Waterloo Bay to the south. 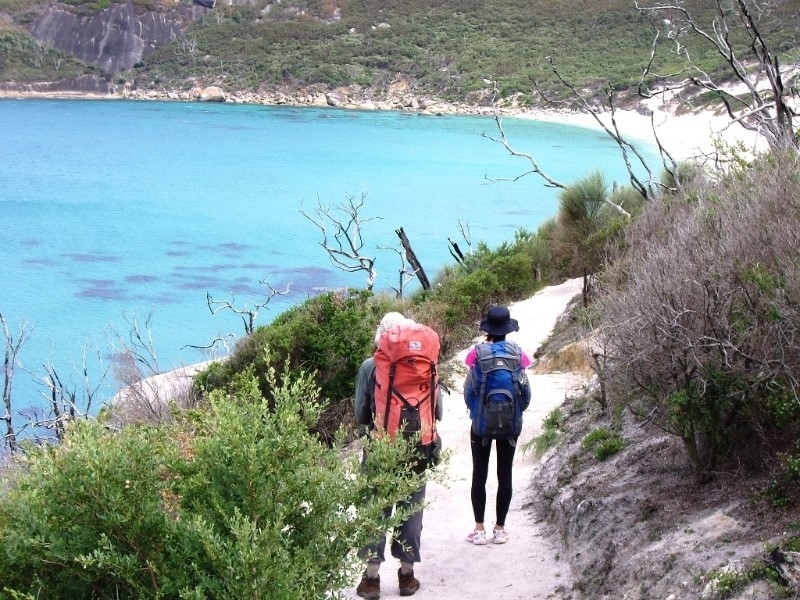 The track between Sealers Cove and Refuge Cove offers many great views. Refuge Cove campsite, located at the southern end of the cove, is surrounded by lush vegetation and is within close proximity to the water. A maximum two night consecutive stay applies." In short, this is a stunning walk! 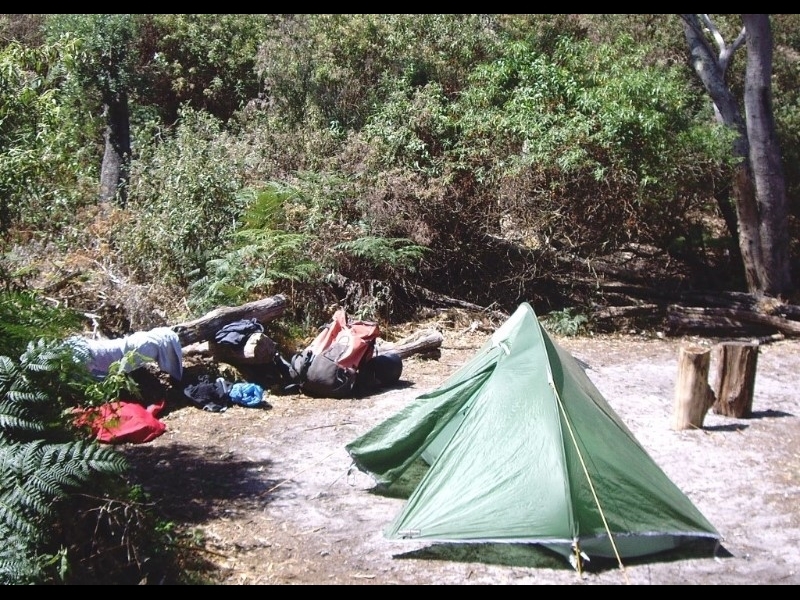 There are basic camping facilities available, including water supply. Composting toilets are provided, though toilet paper is not supplied. Note the walk length is listed as 22.78 km, but this is only one way. A couple of the photos might not be in the exact spot on the map, but they are close. 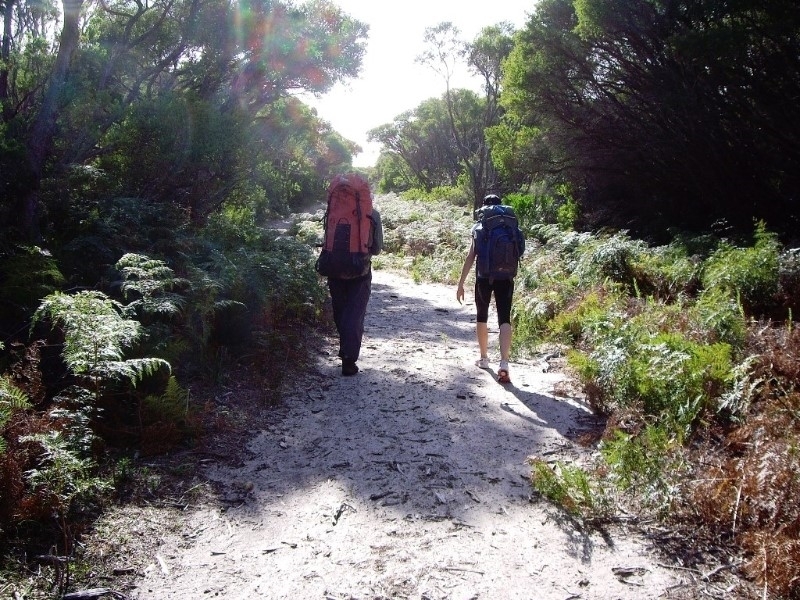 Click the link above to find out more, including a link to information on overnight hikes in Wilsons Promontory. 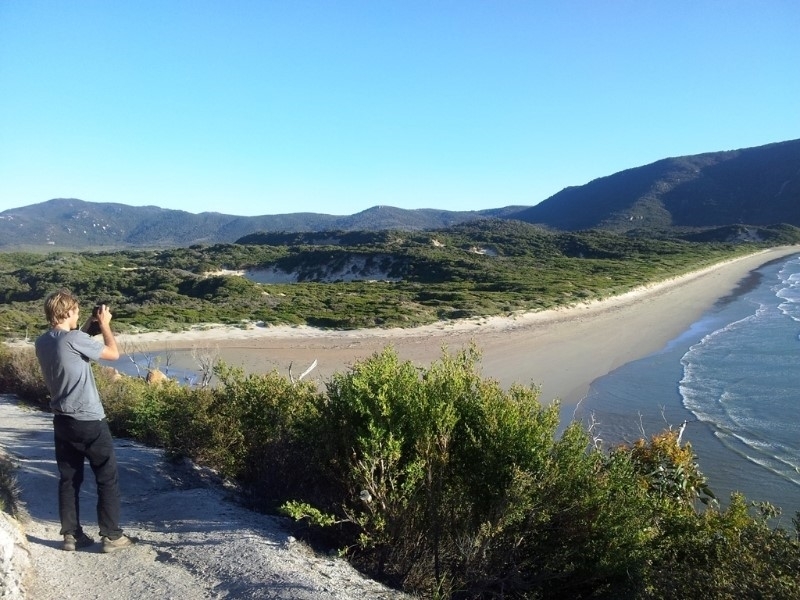 Well hidden by the healthy coastal flora, the Tidal River campground is at the far end of Norman Beach. 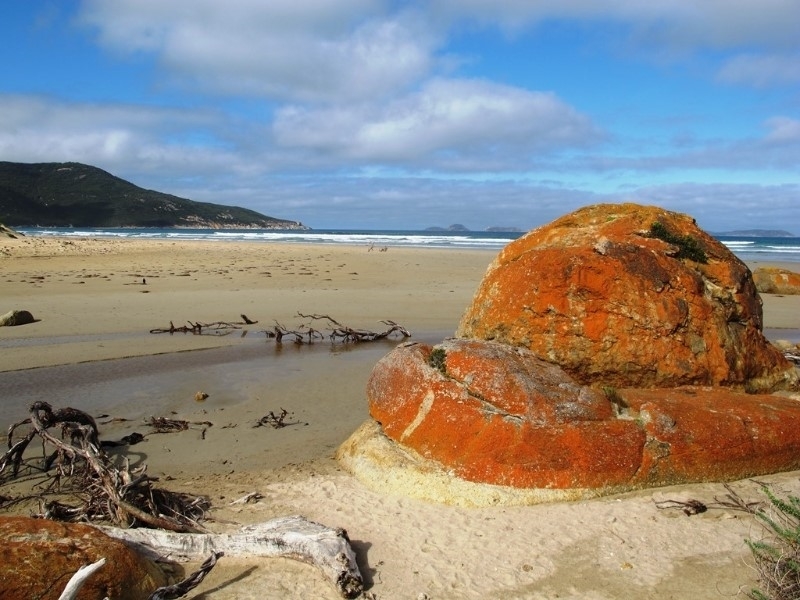 Leaving Norman Bay, the track hugs the coastline, providing views across Bass Strait to the horizon. 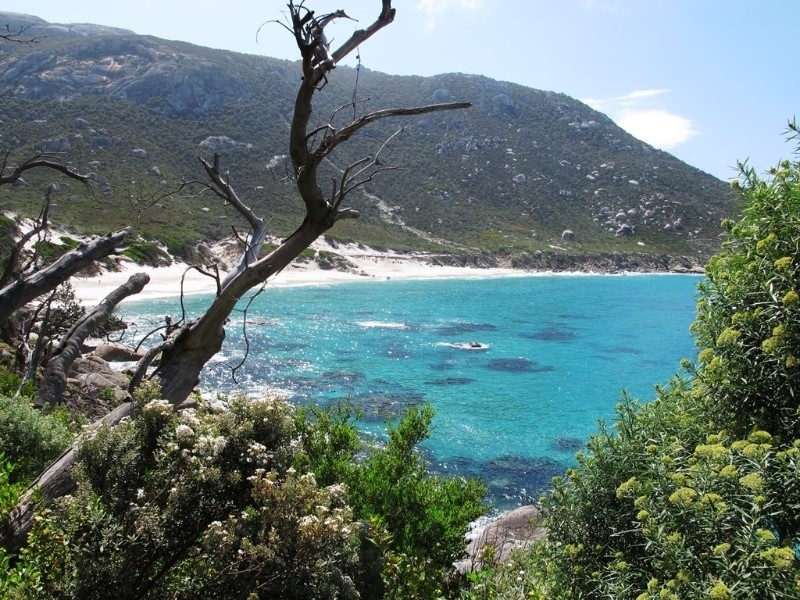 Around the first headland is this sparkling view of the second beach on this walk. 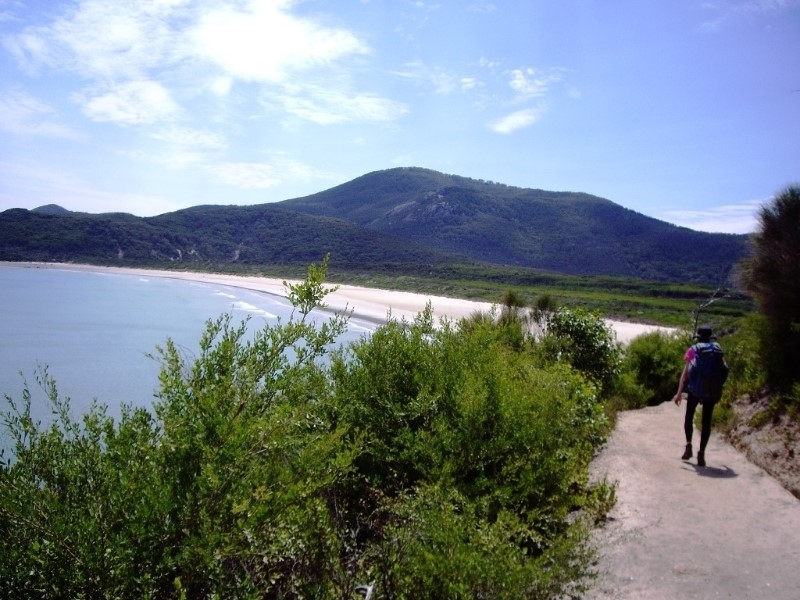 After leaving the beach, the walk continues along the coast on a compacted sandy track. Around the next headland, more beauty awaits. The campground is at the far end of this beach. 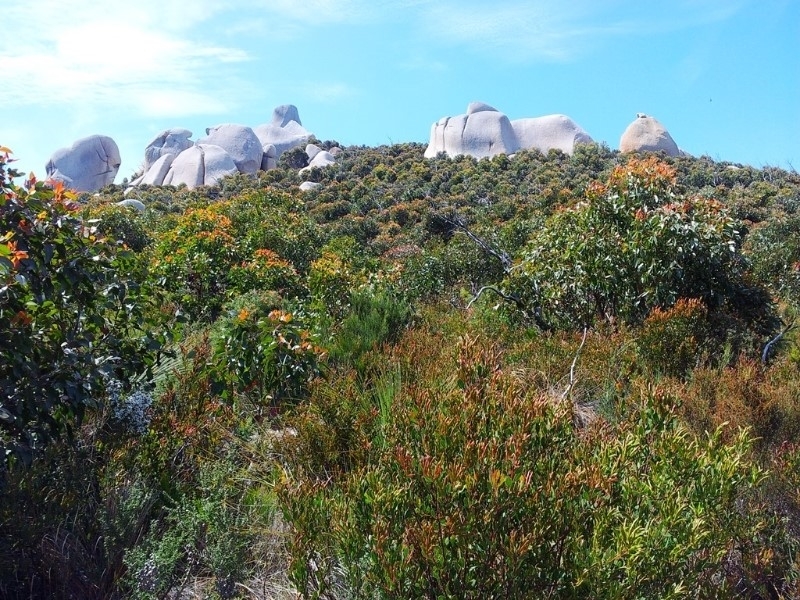 Xanthoria Parietina (Common Orange Lichen) give the granite boulders their distinctive colour. There is a shallow flowing river to cross here. 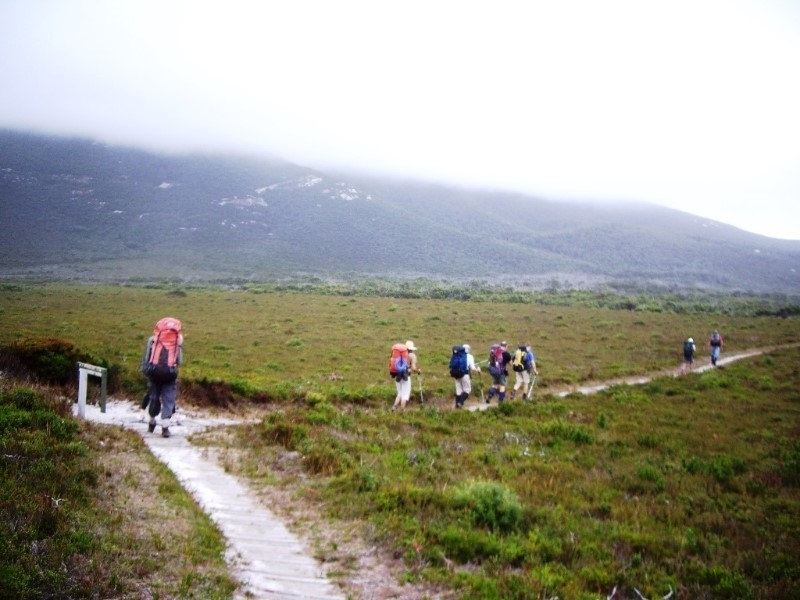 The track varies with the landscape, sometimes narrow, sometimes wide, sometimes flat and sandy, sometimes steep and rocky! 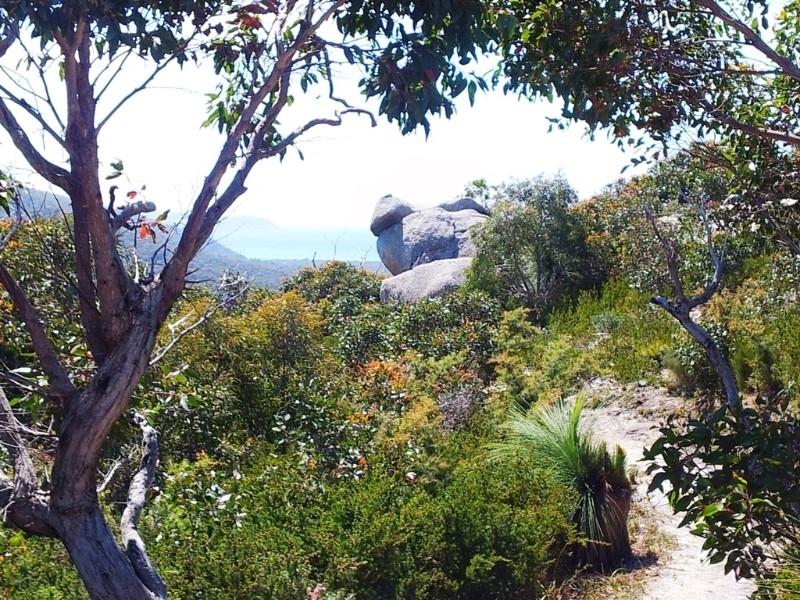 A cluster of enormous boulders perched at the top of this peak. Imagine how old they are! 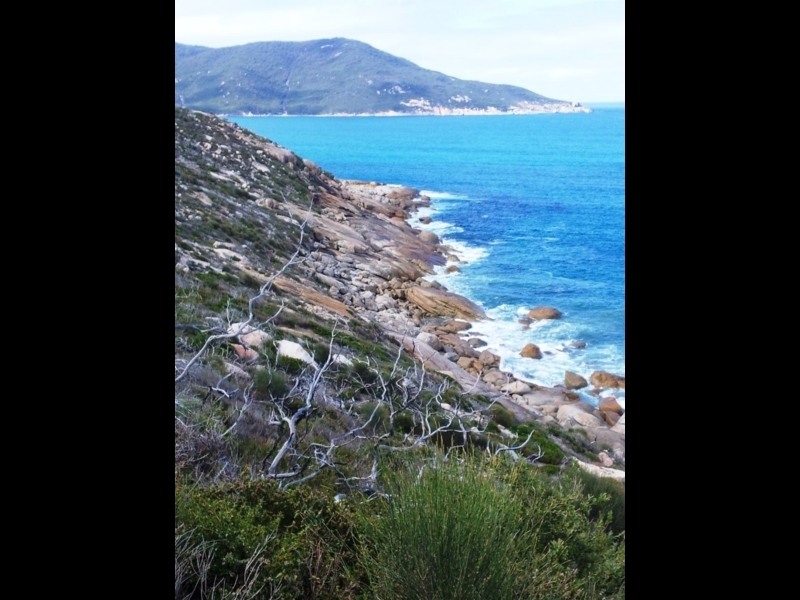 A breathtaking view of the East coast of the Prom. Descending the sand dunes and over the swamps. 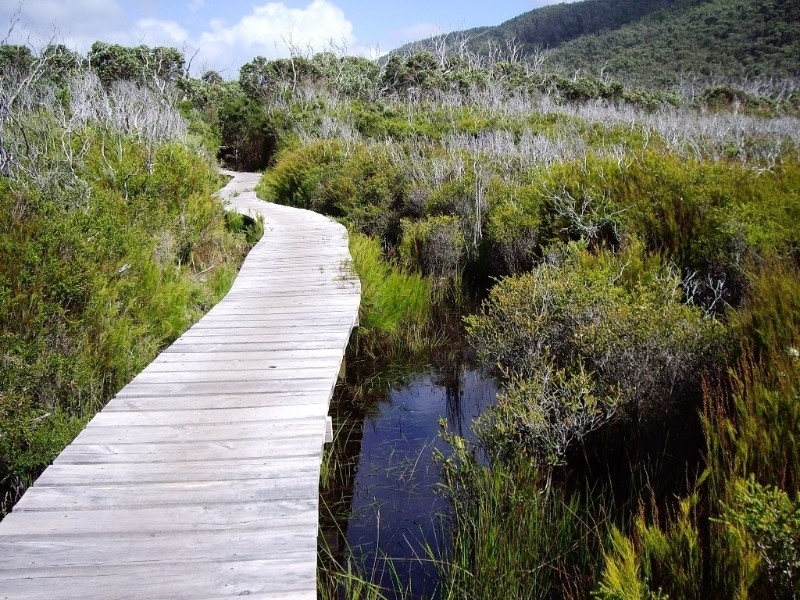 Keep your feet dry thanks to the many boardwalk sections. Love this part of the track, but can get a bit windy sometimes. Yes, its a gorgeous bay! At the southern end of the beach is this fresh water but it's not suitable for drinking. 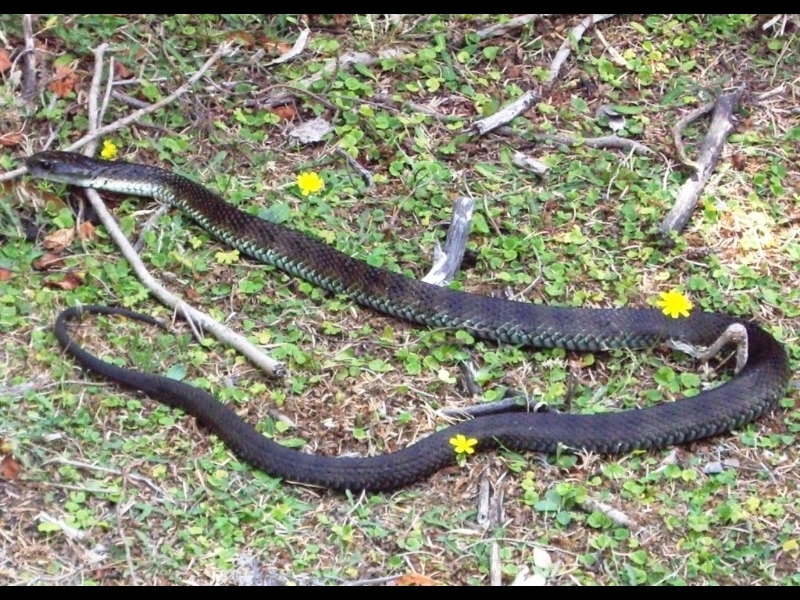 The Prom does have a lot of snakes, and if you're lucky you might get to see one or two.